ARLSX seeks to provide absolute returns (“equity-like returns,” they say) while minimizing volatility over a full market cycle. The fund invests, long and short, mostly in US common stocks but can also take positions in foreign stock, preferred stock, convertible securities, REITs, ETFs, MLPs and various derivatives. The fund is not “market neutral” and will generally be “net long,” which is to say it will have more long exposure than short exposure. The managers have a strict, quantitative risk-management discipline that will force them to reduce equity exposure under certain market conditions. Aston Asset Management, LP, which is based in Chicago. Aston’s primary task is designing funds, then selecting and monitoring outside management teams for those funds. As of March 31, 2012, Aston has partnered with 18 subadvisers to manage 26 mutual funds with total net assets of approximately $10.7 billion. Aston funds are available to retail investors, as well as through various professional channels. Matt Moran and Daniel Johnson. Both work for River Road Asset Management, which is based in Louisville. They manage money for a variety of private clients (cities, unions, corporations and foundations) and sub-advise five funds for Aston, including the splendid (and closed) Aston/River Road Independent Value (ARIVX). River Road employs 39 associates including 15 investment professionals. Mr. Moran is the lead manager, joined River Road in 2007, has about a decade’s worth of experience and is a CFA. Before joining River Road, he was an equity analyst for Morningstar (2005-06), an associate at Citigroup (2001-05), and an analyst at Goldman Sachs (2000-2001). His MBA is from the University of Chicago. Mr. Johnson is a CPA and a CFA. Before joining River Road in 2006, he worked at PricewaterhouseCoopers. Mr. Moran and Mr. Johnson had between $100,000 and $500,000 as of April 30, 2012. Those investments represent a significant portion of the managers’ liquid net worth. $2,500 for regular accounts and $500 for retirement accounts. 2.75%, after waivers, on assets of $5.5 million. The fund’s operating expenses are capped at 1.70%, but expenses related to shorting add another 1.05%. Expenses of operating the fund, before waivers, are 8.7%. Here’s the theory: in the long term, the stock market rises and so it’s wise to be invested in it. In the short term, it can be horrifyingly irrational and so it’s wise to buffer your exposure. That is, you want an investment that is hedged against market volatility but that still participates in market growth. River Road pursues that ideal through three separate disciplines: long stock selection, short stock selection and level of net market exposure. In long stock selection, their mantra is “excellent companies trading at compelling prices.” Between 50% and 100% of the portfolio is invested long in 15-30 stocks. For training and other internal purposes, River Road’s analysts are responsible for creating and monitoring a “best ideas” pool, and Mr. Moran estimates that 60-90% of his long exposure overlaps that pool’s. They start with conventional screens to identify a pool of attractive stocks. Within their working universe of 200-300 such stocks, they look for fundamentally attractive companies (those with understandable businesses, good management, clean balance sheets and so on) priced at a discount that their absolute value. They allow themselves to own the 15-30 most attractive names in that universe. In short stock selection, they target “challenged business models with high valuations and low momentum.” In this, they differ sharply from many of their competitors. They are looking to bet against fundamentally bad companies, not against good companies whose stock is temporarily overpriced. They can be short with 10-90% of the portfolio and typically have 20-40 short positions. Their short universe is the mirror of the long universe: lousy businesses (unattractive business models, dunderheaded management, a history of poor capital allocation, and favorites of Wall Street analysts) priced at a premium to absolute value. Finally, they control net market exposure, that is, the extent to which they are exposed to the stock market’s gyrations. Normally the fund is 50-70% net long, though exposure could range from 10-90%. The managers have a “drawdown plan” in place which forces them to become more conservative in the face of sharp market places. While they are normally 50-70% long, if their portfolio has dropped by 4% they must reduce net market exposure to no more than 50%. A 6% portfolio decline forces them down to 30% market exposure and an 8% portfolio decline forces them to 10% market exposure. They achieve the reduced exposure by shorting the S&P500 via the SPY exchange-traded fund; they do not dump portfolio securities just to adjust exposure. They cannot increase their exposure again until the Russell 3000’s 50 day moving average is positive. Only after 10 consecutive positive days can they exit the drawdown plan altogether. The market-exposure controls embedded in the drawdown plan. The fund’s early results are exceedingly promising. Over its first full year of existence, the fund returned 3.7%; the S&P500 returned 3.8% while the average long-short fund lost 3.5%. That placed the first in the top 10% of its category. River Road’s Long-Short Strategy Composite, the combined returns of its separately-managed long-short products, has a slightly longer record (it launched in July 1, 2010) and similar results: it returned 16.3% through the end of the first quarter of 2012, which trailed the S&P500 (which returned 22.0%) but substantially outperformed the long-short group as a whole (4.2%). The strategy’s risk-management measures are striking. Through the end of Q1 2012, River Road’s Sharpe ratio (a measure of risk-adjusted returns) was 1.89 while its peers were at 0.49. Its maximum drawdown (the drop from a previous high) was substantially smaller than its peers, it captured less of the market’s downside and more of its upside, in consequence of which its annualized return was nearly four times as great. It also substantially eased the pain on the market’s worst days. The Russell 3000, a total stock market index, lost an average of 3.6% on its fifteen worst days between the strategy’s launch and the end of March, 2012. On those same 15 days, River Road lost 0.9% on average – which is to say, its investors dodged 75% of the pain on the market’s worst days. This sort of portfolio strategy is expensive. A long-short fund’s expenses come in the form of those it can control (fees paid to management) and those it cannot (expenses such as repayment of dividends generated by its short positions). At 2.75%, the fund is not cheap but the controllable fee, 1.7% after waivers, is well below the charges set by its average peer. With changing market conditions, it’s possible for the cost of shorting to drop well below 1% (and perhaps even become an income generator). With the adviser absorbing another 6% in expenses as a result of waivers, it’s probably unreasonable to ask for lower. Long-term investors need exposure to the stock market; no other asset class offers the same potential for long-term real returns. But combatting our human impulse to flee at the worst possible moment requires buffering that exposure. With the deteriorating attractiveness of the traditional buffer (bonds), investors need to consider non-traditional ones. There are few successful, time-tested funds available to retail investors. Among the crop of newer offerings, few are more sensibly-constructed or carefully managed that ARLSX seems to be. It deserves attention. 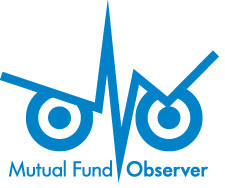 © Mutual Fund Observer, 2012. All rights reserved. The information here reflects publicly available information current at the time of publication. For reprint/e-rights contact us. This entry was posted in Old Profile on June 1, 2012 by David Snowball.